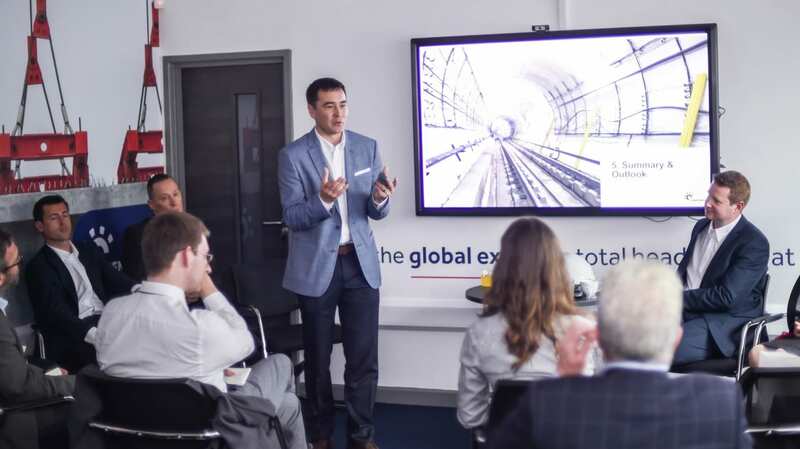 After a six-figure investment into future innovation, training and education, we are proud to announce the opening of the Clarity Counts University, our dedicated education and training centre. As part of the substantial improvement and investment at our head office, our brand new university will offer customers, distributor partners, specifiers, wearers, and our employees the very best insight and understanding of above-the-neck safety standards and our innovative product range. Our Clarity Counts University officially opened on Wednesday 10th May by Bill Davis, a former Director of the business and a direct descendant of James Adler, one of the early family officers. The development of the Clarity Counts University forms part of a wider investment to support Centurion’s current growth and future ambitions. This includes several new meeting rooms that have been specifically designed to host customers, a new open office design that extends across two stories with 12 additional workspaces, a variety of factory refurbishments including revamped rest facilities, LED lighting and other energy saving investments across all the production and warehouse areas. Jeff Ward added: “The official opening of the Clarity Counts University and inauguration of our building renewal was a great way to celebrate the rich heritage of Centurion, and our continued investment in our staff and our premium brand experience. Customer partners can now see products being made, tested, showcased and explained. It is a destination now for partners to spend the day with us and be reminded that there is not a more important purchase decision than the right head protection system for workers shaping our world.